The Computer and network services (DSI) manages and coordinates the Information and Communication Technologies (TIC) at various campus of the IST. DSI is responsible for the computer resources, the network infrastructure and the central information system at IST, among which the academic application FénixEdu system. 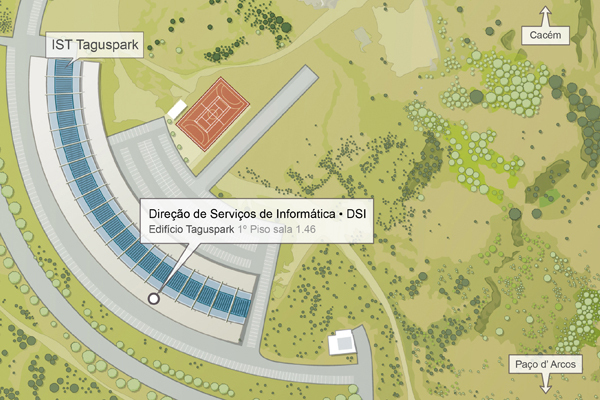 Since the core of the network ULisboa is located in the campus IST Alameda, the DSI is also responsible for managing the dorsal network (backbone) of ULisboa, as well as some transversal services to ULisboa. The computer science, in addition to essential in teaching and research activities, today covers most of the IST processes and services. For this reason, the strengthening of the IT infrastruture, at the level of software, hardware and user support, is essential and has been a constant priority of the IST computer services. 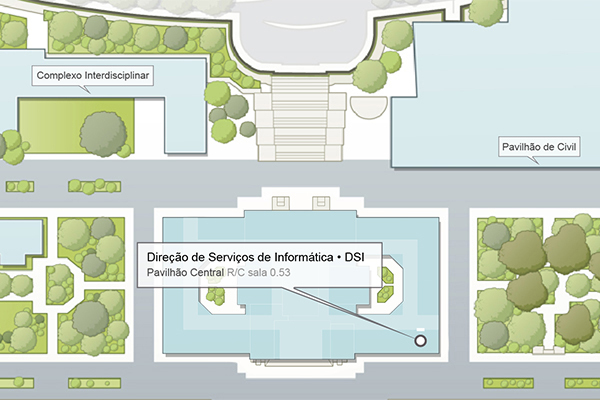 The DSI provides services at the facilities in various campus of IST, particularly in Alameda (downtown Lisbon) and Taguspark (technological and university center located about 20 km, to the west of Lisbon). The head office of DSI is located in the main building of the IST (commonly known as Central Pavilion). At Taguspark, the DSI services are located on the first floor of the building (block D), at room 1.46.